I believe that your journey can be compared to that of a butterfly, as at any one time in our lives, we're often in one of the many stages of our own growth process. When we recognize and become more aware of just where we are on that journey, we’re comforted by the knowledge that we will spread our wings and fly again. Private Readings – Thank you for your interest in scheduling a private reading. The current wait list is closed. CLICK HERE to get priority notification when the wait list re-opens. Advance notice is required for rescheduling appointments. If you need to reschedule your appointment, please provide a two week notice. You will be offered the next available appointment. There are NO refunds for missed appointments. There is a cancellation fee of $75.00 should you cancel a confirmed appointment. Missed appointments will be charged the scheduled appointment fee. Payment- Upon an agreement of time and date for an appointment, an online PayPal invoice will be emailed to you. Pay using your credit/debit card securely online via PayPal. Online payments incur a convenience fee. Appointments are not confirmed until payment is received. You can either contact us on the contact page, or reserve and purchase through the PayPal or ConstantContact links. We accept credit/debit cards, Money Orders, PayPal, or through Constantcontact.com. To register for an event and pay on line use the PayPal button in the event details. Alternately, we may provide an Constantcontact link, where you can register and pay, We do not issue or mail out tickets, simply bring your confirmation information or simply mention your name at the door. We ask that you register at least 48 hours before the event if using the PayPal link, so we have your name on our guest list. Please note while we accept credit card payments at the door for certain specified events, it may cost more than reserving and paying in advance. Due to limited seating, a full refund minus a 50% cancellation fee will be issued up to two weeks prior to event date. Last minute cancellations (less than two weeks prior to the event) refunds cannot be given. This includes events such as Tele-Classes, Group Meditation, and Spirit Gallery Group Readings. Effective in 2012 we have started using ConstantContact.com to take registration/payments for certain events. 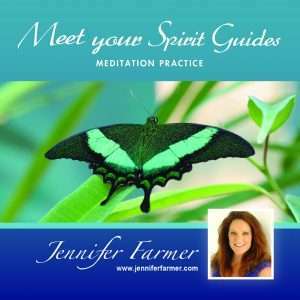 All orders for my meditation CD’s are handled locally in Madeira Beach, Florida to insure your order is handled promptly and accurately. No offshore labor or shipping centers are used. Our free shipping offer is limited to the United States. If you are ordering from abroad, please contact us first so we can get shipping rates for your country. How do I cancel an order once its been placed? Please contact JenniferFarmer.com within 24 hours of your order, on this page, with the message “Order Cancellation.” We will work with PayPal in refunding your charge in a timely manner. When will goods be delivered, and how will it be shipped? Orders received will be processed, packaged and shipped via USPS First Class Mail within 48 hours. 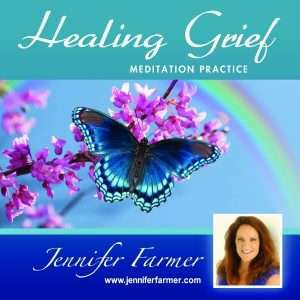 Jennifer Farmer ships meditation cds worldwide. Orders for product over $50 require a physical street address for shipping. JenniferFarmer.com respects your privacy. We will never sell or distribute your email address or other contact information to any third parties. Occasionally we would like to email you with announcements, event information, and new products. You can opt out of these mailings by using the unsubscribe links when your message arrives. On occasion a bad CD duplication does occur, or a CD gets damaged in shipment. Defective or damaged product may be returned for exchange at no charge. Please contact us before returning the product so we can properly process your request.